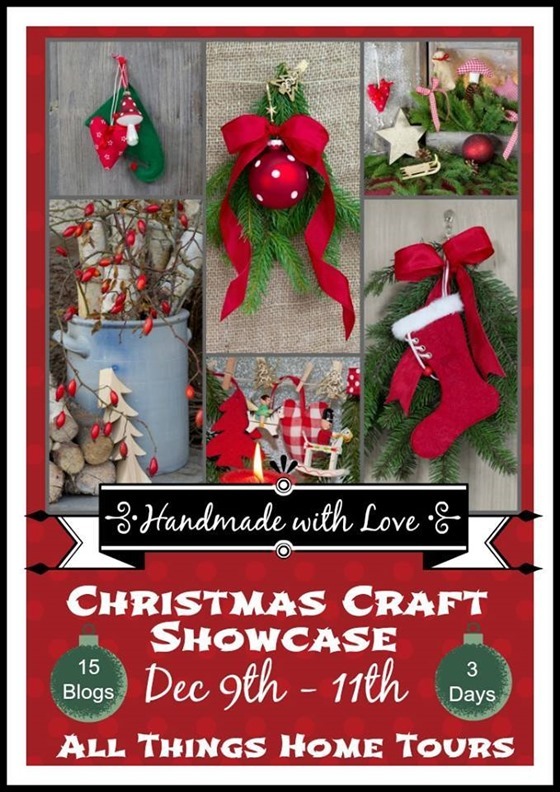 I am so honored to be part of the All Things Home tours for a Christmas Craft Showcase! Did you guys catch the amazing Christmas Home Tours that happened last week? I am still blown away by their amazingly beautiful homes and Christmas décor. I LOVE this new Christmas project I get to share with you today…. just please overlook the less then best photography. We haven’t seen the sun since before Thanksgiving here in GA and beginning to think we won’t till maybe January…not too great for us bloggers trying to to capture all kinds of pictures of Christmas décor to share. I told you I was going in a new direction from my no-red Christmas last year and this year I am going all out RED. And I am loving it! 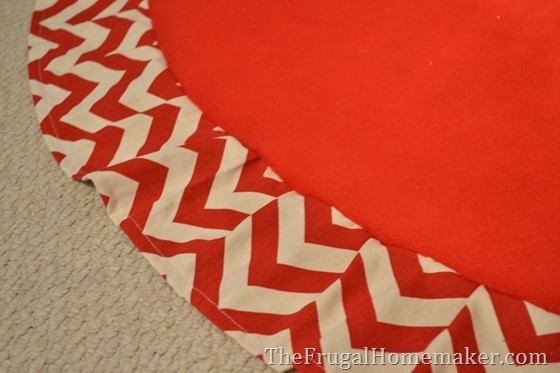 So let me introduce you to my Red & White Chevron Christmas Tree Skirt. I seriously felt a bit like Mrs. Claus as I was surrounded by fluffy red fabric and red and white stripes… It just screams Christmas to me and is the perfect finishing touch to my tree. 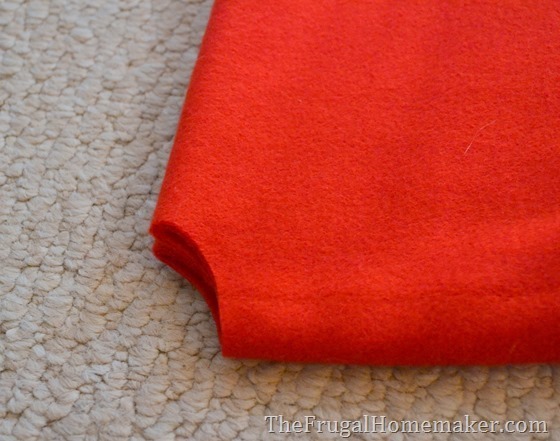 If you have never made a Christmas tree skirt before, it is fairly easy and SO much cheaper than buying a store bought one. I see tree skirts in the store from priced at $30-100 and I don’t usually even see any that I like. 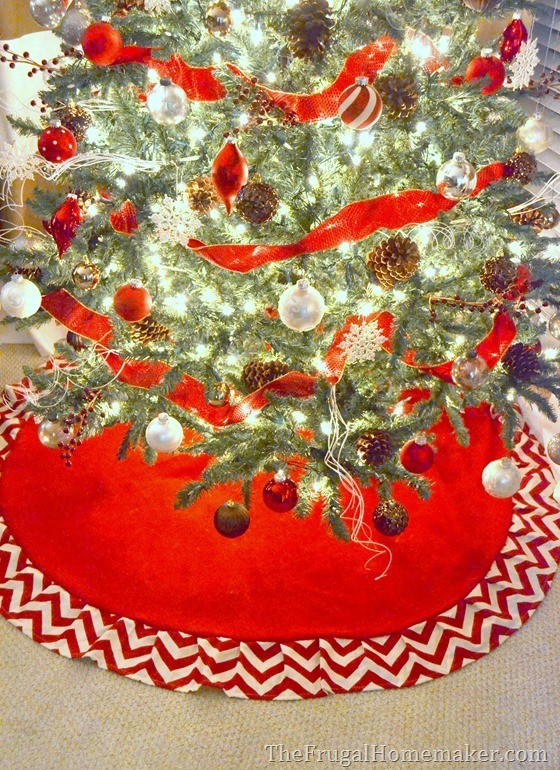 My chevron red & white tree skirt cost me about $12 to make and took about 2 hours from start to finish. Take your main material and fold it in half opposite the way it came on the bolt. 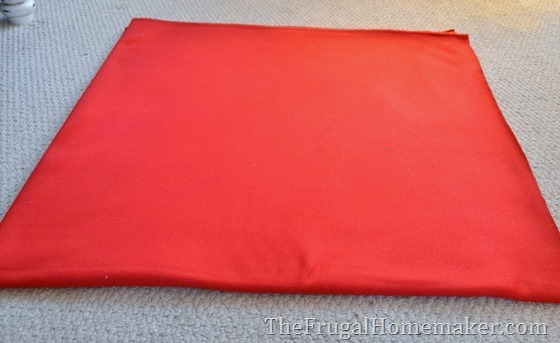 Then fold in half again until you have a square. Then cut from corner to corner in a rounded shape. You can draw this out on the fabric first if you wish. 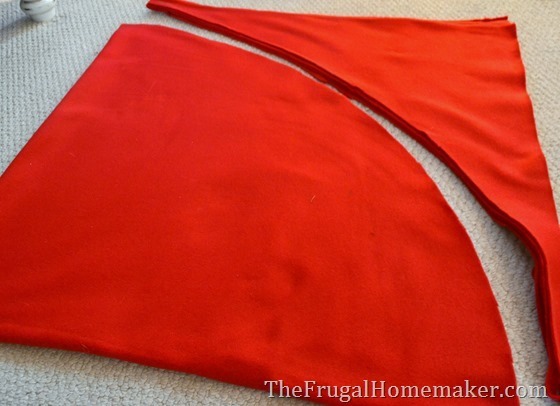 Don’t forget to cut a small circle out of the corner tip for the middle of the skirt and also to cut open one fold to make the slit. 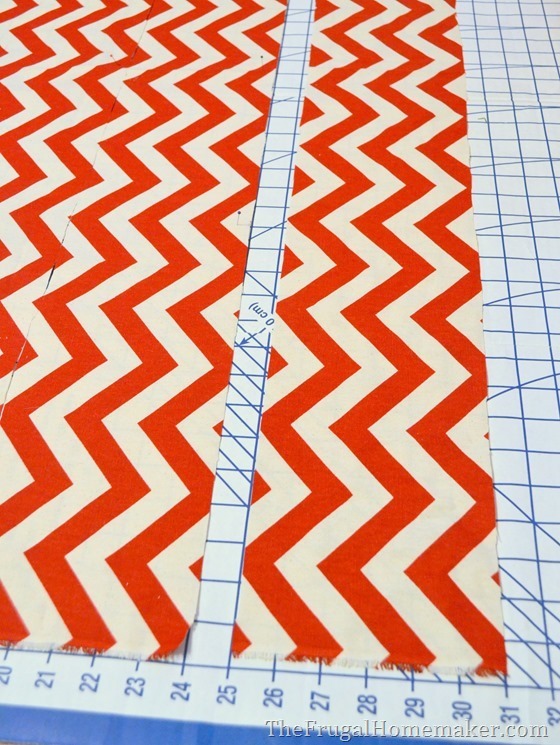 For the border, I cut my chevron fabric in 6 inch strips. 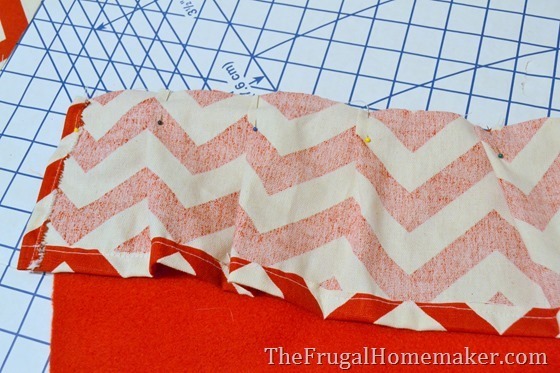 I sewed each strip together to form a long “ribbon” making sure to match the chevron pattern. I also turned up the bottom to make a finished hem. I sewed all of this… BUT you could totally glue it with hot glue or fabric glue. To connect the chevron border to the skirt and to allow for the curve of the skirt, I pleated the border every few inches. Here’s how it looks from the other side. Ran it through my sewing machine and it was all done! I LOVE it! It brings that fun “candy cane look” to my tree without being too playful/still formal looking. Hopefully when I reveal my tree (planning on doing that tomorrow! ), I can get a better picture that truly shows the deep red color. So there’s my Christmas craft! I have quite a few other Christmas projects I plan to show you over the next few days, so stick around! And you can see all my past Christmas projects here including a burlap & lace ruffled tree skirt that I made last year if that is more your taste. And be sure to head over and check out the other bloggers sharing their Christmas crafts over the next 3 days. So pretty. I love the modern chevron fabric. I was so excited to see this tutorial. Call me blond but I didn’t know you could cut out a clean circle from folding it into a square. Thanks for the tutorial! 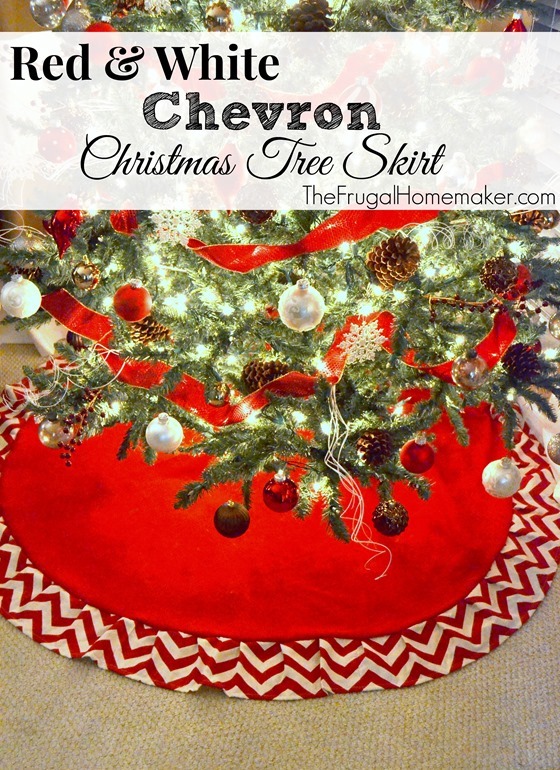 I LOVE, LOVE, LOVE the red/chevron Christmas tree skirt!! Thanks for the tutorial, as well. I’ve never made a Christmas tree skirt (I have a quilt one that I’ve had for several years), but with your instructions & pictures, it looks easy! 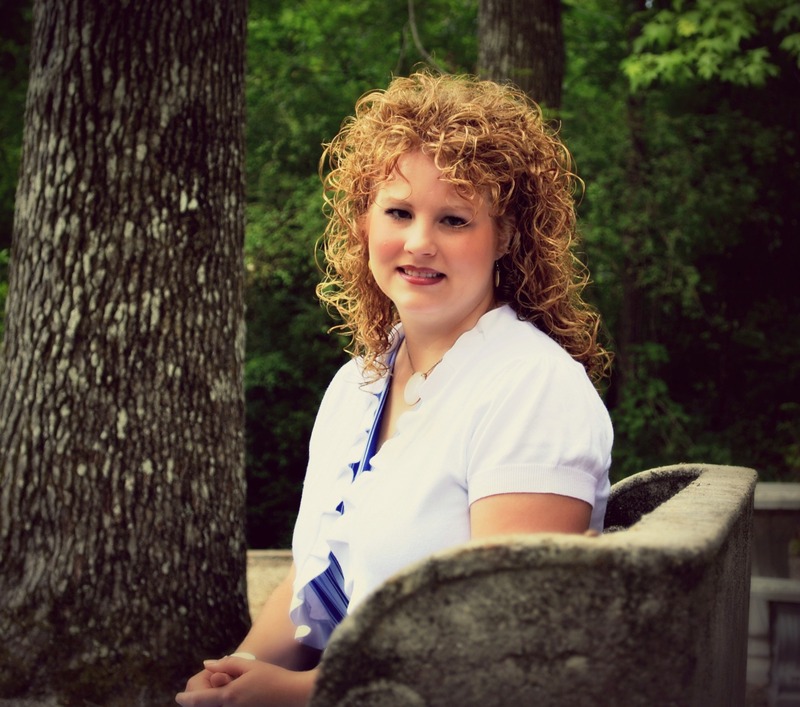 Thanks for sharing…..can’t wait to see your Christmas tree, as well as more holiday decorating ideas! Christina, That is the cutest tree skirt. Love me some chevron. The tree looks great too! That looks beautiful, Christina!!!! Great work! Christa @ BrownSugarToast recently posted..The Handbuilt Home by Ana White :: Book Review & GIVEAWAY! I absolutely love your tree skirt! I wondered how you got the chevron fabric to curve so nicely and was glad to see your pleat tip in the instructions. I’m really enjoying seeing what everyone is posting for the Christmas Crafting Showcase! Looks terrific, Christina! Thanks for joining us on our craft tour! Well that is certainly cheaper than the $30-100 ones you saw, and it looks adorable! And not too difficult, you actually make it look very simple. What I see of your tree looks beautiful, with the skirt, you sure did go red this year! Wow! Your tree skirt came out beautifully. 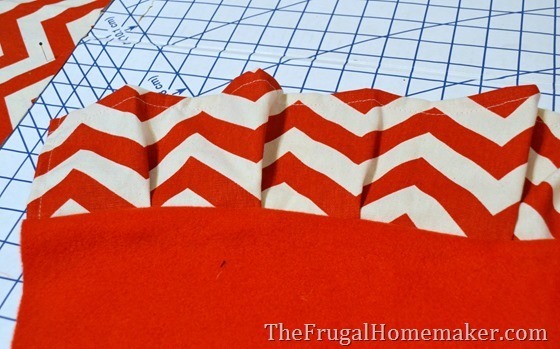 I love the chevron fabric! 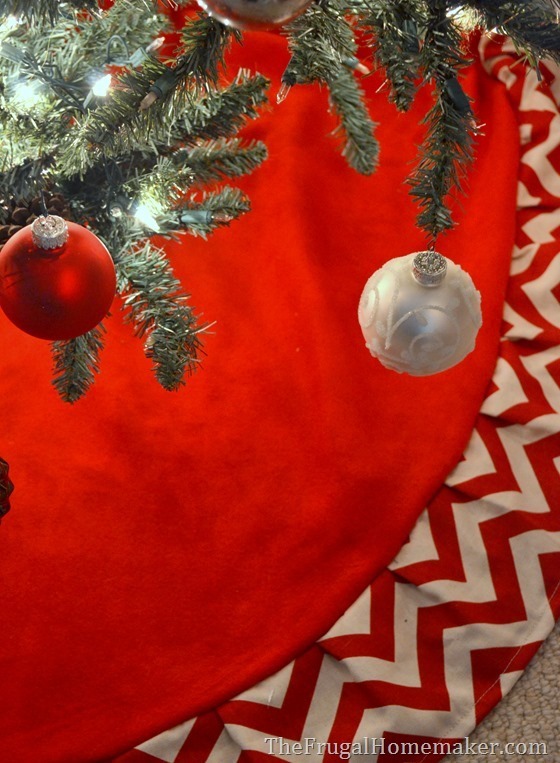 This is the perfect tree skirt! Absolutely too cute! It’s been a pleasure being on this tour with you! Have a great week! It’s so pretty and festive Christina! And just enough chevron to not be overkill. 😉 I might have to try something like this for next year- you make it seem so easy! Happy to be on this tour with you! Oh ~ I am so making one of these tree skirts! Thanks for the great tutorial. Red is truly THE festive color for Christmas Christina, and I love that you’ve gone all-out red this year! Your Christmas Tree Skirt is so pretty: it’s elegant while at the same time fun with the ruffles and chevron! Pinning! Really, really nice! If/when I ever buy a sewing machine and teach myself how to sew (again), I’m definitely going to make one or two of these and give them as gifts! I’m definitely pinning this. I love this! The colors are perfect. I’m all about red and white this year. Just lovely! Oh, Christina, this is so pretty. You are a great seamstress. I turned two shower curtains into the tree skirt of my dreams. The burgundy fabric with gold embroidery is really elegant but comp!etely overpowered our hall bath. Bonus: I was able to turn the placket with the holes for the curtain rings into button holes to secure the skirt.